Use over your existing steps! Available in different lengths depending on the number of steps and can be customised. Textured surface for additional traction grip and safety. Safety ledge helps to keep wheels/person walking from slipping off the ramp. Hinge brackets that allow the ramp to easily fold in half. Handle/s for easy portability. Yellow radium safety edging to help visually impaired people to see the edges of the ramp. This would also facilitate easy viewing at night. Provision for permanent and semi-permanent installation methods. National Centre for the Performing Arts (NCPA)-Mumbai, Fabindia- Mumbai, Blue Frog- Mumbai, Bombay International School- Mumbai, Willingdon Club- Mumbai, Radio Club- Mumbai, Planet Abled tours- Delhi, Happy Home and School for the Blind- Mumbai, Five Wheels Pvt. Ltd- Quango Scooters- Bengaluru, Explore Differently tours- Chennai, and many other buildings across India! 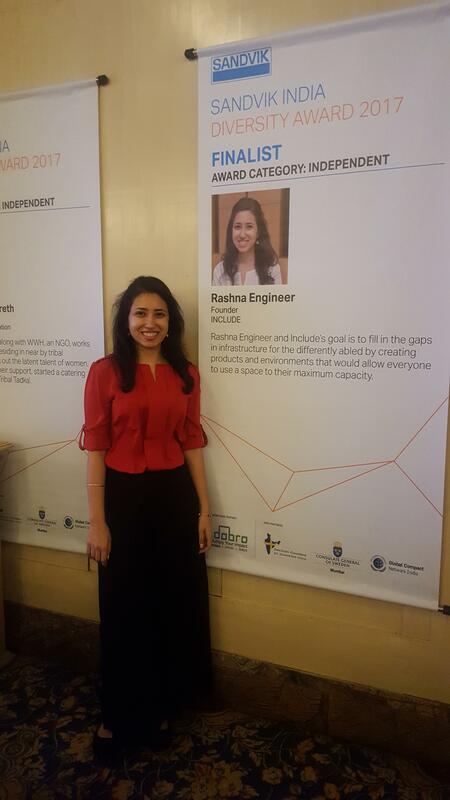 Include was among the 3 finalists in its category at the Sandvik India Diversity Awards 2017 for promoting diversity and inclusion! 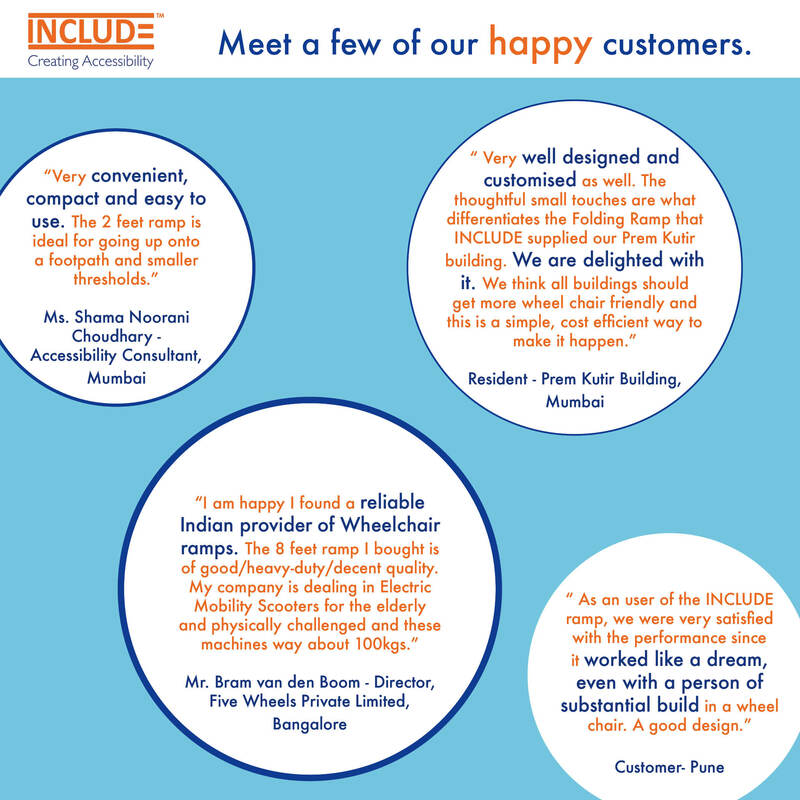 Include is a design studio and consultancy for products and infrastructure under the umbrella of accessibility. In a country like India, the differently abled face a multitude of challenges due to the lack of accessibility. As a product designer and ergonomist it is important to bring to the Indian market, products that are needed in our unique environment. These would be in the area of healthcare, wellness, rehabilitation, daily living aids, geriatric aids, mobility, bed and bath care, public space accessibility, etc. Differently abled people would include: disabled population, pregnant women, geriatric population, infants and toddlers or any person with a mental or physical impairment or restriction. Include also acts as a consultant for spaces that wish to become barrier free and inclusive. 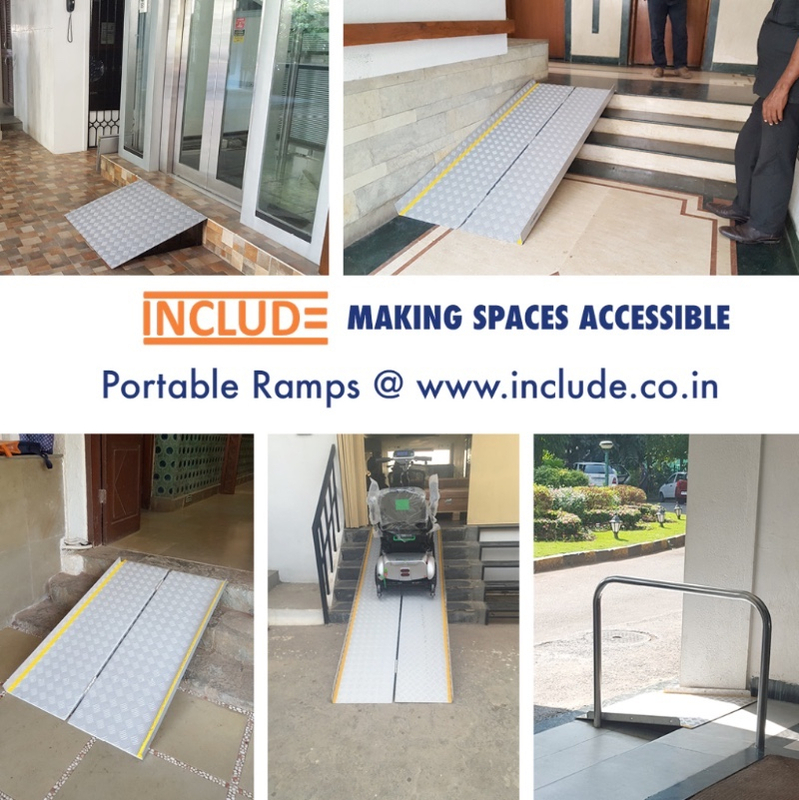 This would be done by conducting audits and providing expert advise in order to make the space comply with standards and policies for the differently abled.